ANNA THANNER, Fotografiska Museum, Stockholm: What is your favourite photo of your creative partner’s work and why? Rebecca Norris Webb: I have a top 10, but my favorite photograph of Alex’s keeps changing. 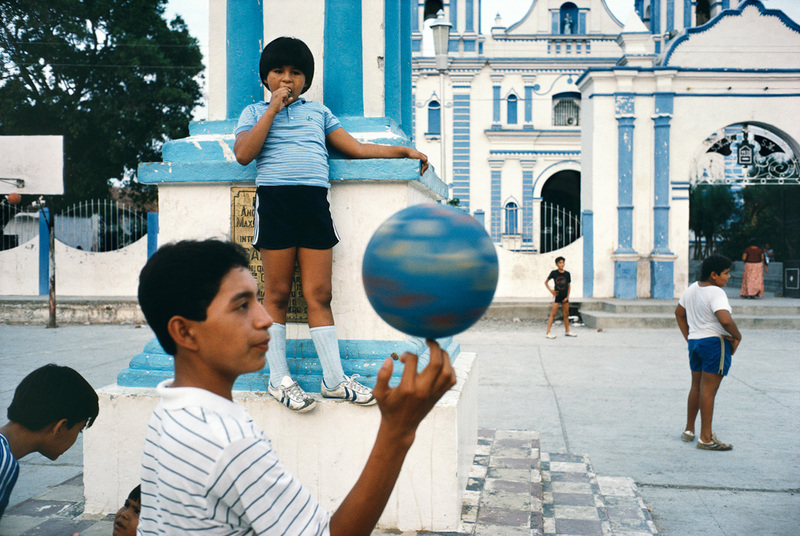 Currently, it’s “Tehuantepec, Mexico, 1985,” the spinning ball. Alex hung this print above my writing desk last Christmas. I love how the ball on the tip of the boy’s finger suggests the spinning world, and how, on closer observation, one sees there’s also a second ball in the frame — and it’s caught in midair inside the basketball hoop! Only Alex could have captured them both in the same frame — the poetic and the surprising, extraordinary mundane. 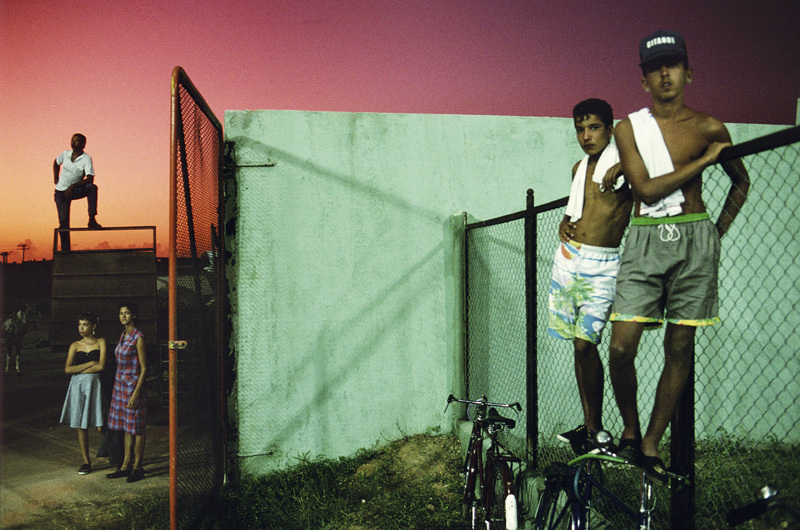 Alex Webb: It’s difficult to choose my favorite photograph of Rebecca’s — there are so many. 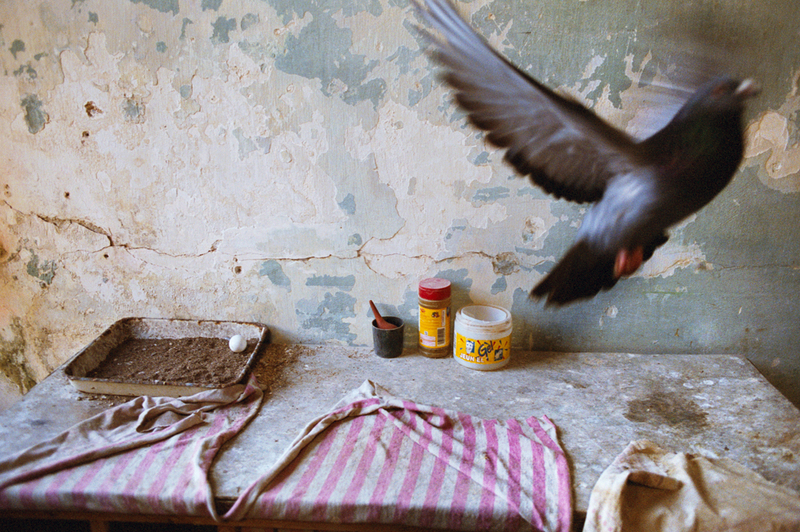 But if pressed I will choose “Havana, 2007,” the pigeon and the egg. There’s something so lyrical, so utterly surprising about this pigeon flying off, as if it had just laid the egg. I love the print’s muted tones and the sense of freedom that the flying bird suggests. I can’t say much more — perhaps because what I most love about this photograph is its essential sense of mystery. Do you know where you’re going next with your photography –– or where it’s taking you? This intensive weekend workshop will help photographers begin to understand their own distinct way of seeing the world. It will also help photographers figure out their next step photographically –– from deepening their own unique vision to the process of discovering and making a long-term project that they’re passionate about, as well as the process of how long-term projects evolve into books and exhibitions. A workshop for serious amateurs and professionals alike, it will taught by Alex and Rebecca, a creative team who often edit projects and books together –– including their joint book and Museum of Fine Arts, Boston, exhibition, Violet Isle: A Duet of Photographs from Cuba, Alex’s recent Aperture book, The Suffering of Light, and Rebecca’s new third book, My Dakota, which will be exhibited this summer at Ricco/Maresca Gallery, in New York City (June 20-Aug. 17), and the North Dakota Museum of Art, Grand Forks, ND (June 5-July 31). ——Tuition-free workshop scholarship available for Alex and Rebecca’s week-long FINDING YOUR VISION May workshop @ the Reportage Photography Festival in Sydney. ——”VIOLET ISLE: TWO VISIONS OF CUBA,” Nordic Light Festival, Kristiansund, Norway, April 23-27, 2013. 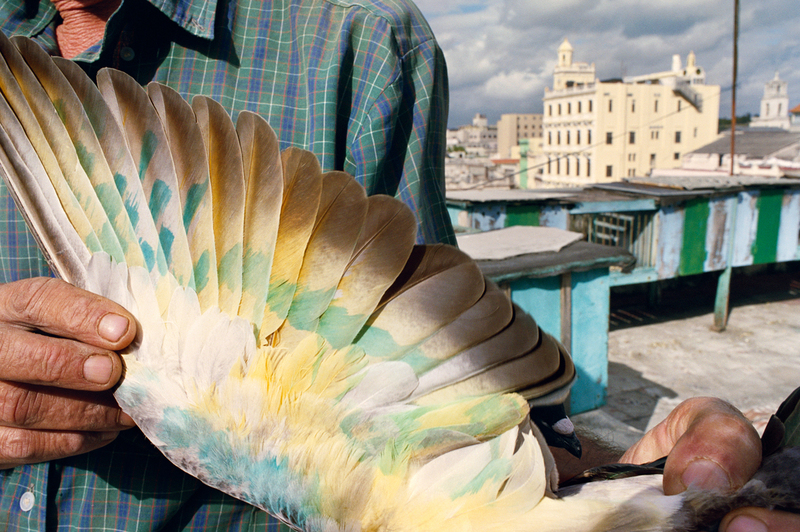 ——”VIOLET ISLE: TWO VISIONS OF CUBA,” Reportage Festival, Sydney, Australia, 10×8 Gallery, May 15-June 1, 2013. ——Tuition-free workshop scholarship available for Alex and Rebecca’s week-long FIND YOUR VISION May workshop @ the Reportage Photography Festival in Sydney. Application details above.